Noise cancelling earbuds are ideal for those who aren’t into pesky ambient noise interfering with our listening experiences. We definitely can’t live without headphones — in fact, there are way too many pairs lying around our house to even start counting. 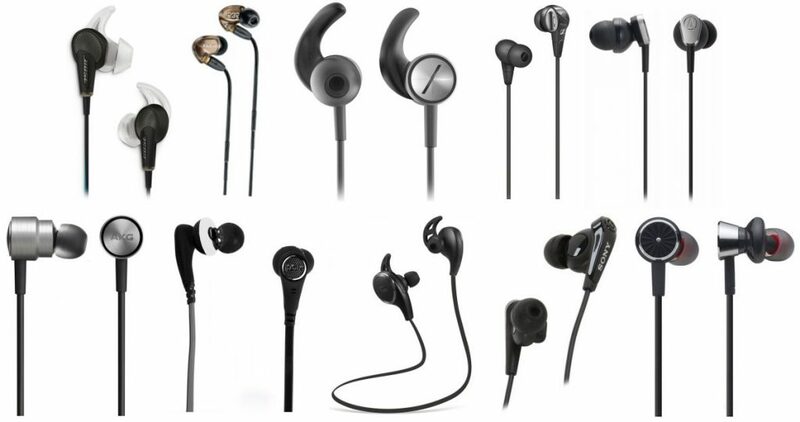 With that being said, many of the pairs we have are in-ear earbuds, which are great for numerous reasons: travel, working out and exercising, or merely any application which versatility is needed. Today we took the time to look through some of the best earbuds with a specific type of technology — noise-cancellation. So what is “noise”? What about “cancelling”? Well, think of a pair of headphones that are specifically made with an in-ear design as well as have specific technology to get rid of outside sound that’s around you, helping you have a more clear (and peaceful) listening experience. How do the best noise cancelling earbuds work? The world is noisy — figuratively and literally. These earbuds come in handy when the user needs to use smart devices when in a crowd, surrounded by either a lot of people or machines, and more – this will allow listening to music, podcasts, radio shows, watching movies or answering calls while at the airport, in the subway station, on the bus, or any other type of environment you can think of. We know many who even use them at home when nobody is around and just need an enhanced listening experience in general. As many have tried to understand the difference between noise isolating vs. noise-cancelling technology, we can all agree that we all just want a more interpersonal listening experience, regardless of what your actual environment may be. To put it simply — avoid ‘noise isolating’ headphones since they aren’t as advanced as noise-cancelling headphones. 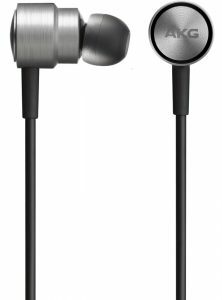 Although they come with a higher price-tag, many of the best noise-cancelling earbuds and in-ear headphones work by having tiny little microphones on top of the headphone — these microphones are specifically designed to soak up what’s around you and “cancel” them out before the desired sound reaches your ear drums. Other models are a bit cheaper and use something different — they create a wave of the noise that is 180 degrees away from your intended sound source to “bounce it away” from your earbuds (a bit technical, but the main point is that it has specific technology to cancel ambient noise around you). 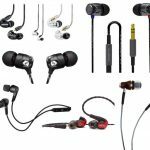 We did have a few pairs of in-ear and earbud designs in our best noise cancelling headphones guide, but a lot of those picks were dominated by over-ear pairs. Due to this, we really wanted to focus on the more convenient, smaller and versatile headphones available in the market today. The best noise cancelling earbuds for you however depends on a few factors we list below. Money – As with all of the many types of headphones in the world, the budget you have at hand will really determine which direction you’ll be going. 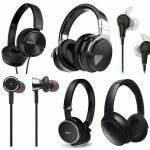 If you don’t have much, we do recommend saving a few more dollars since noise cancelling earbuds aren’t exactly cheap as compared to other more consumer-based headphones (rightfully so, since their technology is a lot more advanced than others in the market — you’re getting what you pay for). Wired or wireless? We found a few different types of connectivity in here to give you some options. It depends on your preference as well as intended use (some applications, such as exercise or travel, may entail wireless hookup to help you out). 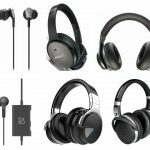 You may also be interested in our noise-cancelling Bluetooth headphones guide as we had quite a few pairs of earbuds and in-ear headphones in there. We do however have a mixture of both wired and wireless below as well. Want a control center? 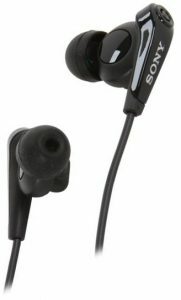 Many of these popular noise cancellation earbuds come with a little control center (also known as a multi-function button) on one of the wires to give you some custom control over your music and smart device (although it depends on the pair, the common functions include volume, mute, play\pause, answer call and more). We know some who don’t care much about this, and those who can’t live without it (we need it ourselves since we keep our devices in our pockets most of the time and don’t like to fiddle around with it a lot). Extra features – Extra ear tips with different sizes, different “modes” depending on the environment, carrying bags, etc. — none of these are complete musts, but may be attractive depending on who you are. 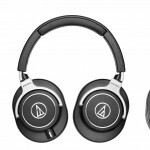 The Audio-Technica ATH-ANC23 are for sure one of the best noise cancelling in-ear headphones thanks to their unique QuietPoint Active Noise-Cancelling feature that will enable you to minimize background noise to just 10% of its actual volume – which really is great for any application that requires some peace and quiet. We’re huge fans of Audio-Technica (they’ve made an appearance in many of our popular guides, like best studio headphones). 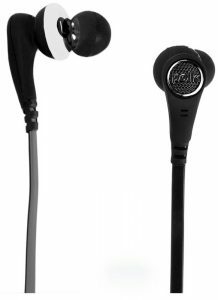 When it comes to the build of these things, you have some pretty high-quality and advanced ANC (active noise-cancelling) circuits to enable crystal-clear sound quality, which makes these earbuds excellent for usage with any smart phone, MP3 player or other portable devices. 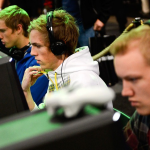 It also comes with ear pieces in three sizes (small, medium or large) to adapt to every user. At the same time, the tips are covered in great quality foam that will provide additional comfort during usage without causing pain for longer periods of listening. There’s lastly a built-in microphone for calls and you will also get an airline adapter so they can be used during flights. Up next, the AKG K391 NC are a bit more rare but if you can find them for a decent price, are surely one of the best noise cancelling in-ear headphones in the market thanks to their great technology for noise cancellation. You have a super long-playing time of about 35-40 hours, comfortable in-ear design, included hard case, as well as a flight adapter in the box. It is also equipped with a microphone and the technology that enables you to answer calls without the need to pick up your phone – just keep the headphones on and use the multi-function button. Charging is easy – just plug-in the noise-canceling module in the USB port on a computer or laptop (yes, you have to charge many of these to keep that cancellation technology running). This will come in very handy during the flight, while sitting in crowded and noisy spaces, or while in the busy office. 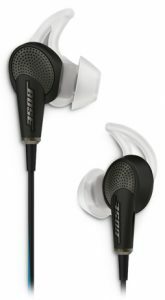 If you are looking for the best noise cancelling in-ear headphones and have a big budget, the Bose QuietComfort 20 are one of the nicest high-end pairs out there right now. They’ve made multiple appearances in best-of guides around the net for a reason, mainly due to their advanced ANC technology and comfort. Thanks to Bose’s combination of ‘Active EQ’ and TriPort technology, these are pretty powerful that will give you extremely clear sound quality with minimum distraction from outside noise. Switching between noise cancelling and the ‘Aware Mode’ will give you a bit more of a custom listening experience depending on your mood, and when it comes to build, the unique ‘StayHear tips’ (a bit like typical fins common with in-ear headphones but less intrusive here — see photo) enable comfortable use for hours. These are great for exercise if you can get away with having a wired pair, but we also see them used for mostly all applications out there. Lastly, the inline mic provides easy control and the ability to answer calls on any of your portable devices. They’re one of the nicest pairs of noise cancelling earbuds available today, and if you’re able to wait and save a few more dollars for them, we think would be worth it in the long run. Here we feel the Phiaton BT 220 are one of the best noise cancelling earbuds with wireless Bluetooth connectivity. Equipped with Bluetooth 4.0, they also include aptX that provides better digital streaming quality and increases the dynamic range as compared to many others in the market today. Also with NFC Technology, it will enable easy connection with your iPhone, iPod and Android devices if you prefer that method. The BT 220 possesses active noise cancellation that rids up to 95% of surrounding noise, enabling you to basically sink into your own world and enjoy your favorite music or answer calls thanks to the additional CVC tech. The sound quality is quite clear, and although isn’t necessarily like the Bose, is up there with overall audio clarity. Lastly, you can use them with two Bluetooth devices at the same time and the battery is very durable, providing about 16 hours of non-stop usage within a greater range. Grab these if you wanted to the best Bluetooth pair out there right now. 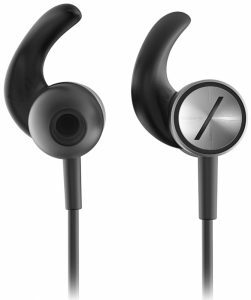 The Polk UltraFocus 6000i is a pair of NC earbuds that are great if you were seeking a model within the middle price-point of these things. They are designed primarily for iOS devices and come with a ‘Optimized Active Tuning system’ that functions in par with ANC technology to really improve the quality of the sound and cancellation of background noise. 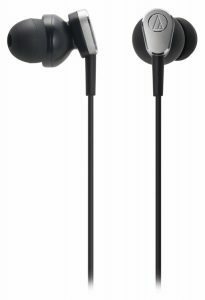 These earbuds are practically weightless and are made of silicone that is custom fitted since they are manufactured in several sizes. Equipped with easy to reach controls and a mic on 3 buttons, you can intuitively use them without even being aware of it. Noise cancellation is powered by the battery that enables over 15 hours of function before the need for recharging. The UltraFocus 6000i is definitely a pair to buy if you wanted a relatively affordable pair that still brings decent sound quality with a very comfortable build. As we reach midway through our guide, the Sony MDRNC13 are comfortable noise cancellation in-ear headphones that will enable you to experience your favorite music and answer phone calls in even the noisiest environments. This is definitely a pick for the best budget-friendly pair available today. Thanks to its proprietary active noise cancellation technology, the MDRNC13 will reduce up to 90% of the surrounding noise. At the same time, you will get some pretty clear sound quality considering the price. In terms of build, the earbuds are covered with some soft foam for comfortable fitting and the ear tips are interchangeable for convenient usage. On top of that, it comes with a 3.5 mm gold-plated angled plug which is compatible with a range of portable devices, such as tablets, smart devices, mp3 players (do people still use these? ), etc. At the same time, you are getting an airplane adapter for convenient usage during flights. What makes these earbuds one of the best noise cancelling in-ear headphones is the fact that it will run up to 100 hours on one AAA battery and will save you some money at the same time. The TaoTraonics TT-BH06 are an even cheaper pair to check out if the previous pick wasn’t within your budget. Equipped with some decent audio drivers on both sides, they will deliver well-balanced, clear sound while at the same time enabling comfortable, lightweight usage. The noise cancellation technology isn’t high-end or advanced at all, but will still be able to reduce outside noise up to 90%, allowing you to enjoy your favorite music while being in a noisy surrounding. What stands out the most about the TT-BH06 is the fact that they’re equipped with 4.1 advanced Bluetooth technology, so you can connect the headphones to your mobile device and answer phone calls without wires while on the go and still have decent quality of sound during communication. The earbuds are covered with soft tips for a comfortable and secure fit even during active movement such as jogging or running. 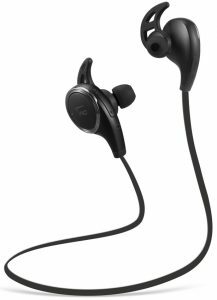 Take a look at these if you wanted both a cheap pair of NC earbuds as well as wireless Bluetooth connectivity. If you’re a serious audiophile and want the absolute best of the best for any possible budget, then the Shure SE535 blows everything out of the water by a mile. These are one of the best noise cancelling earbuds in terms of advanced technology that will enable the user to experience crystal-clear sound quality while at the same time reducing surrounding noise, thanks to the high-quality micro drivers and wireless CVC technology. So what makes these things so expensive? The build, of course. 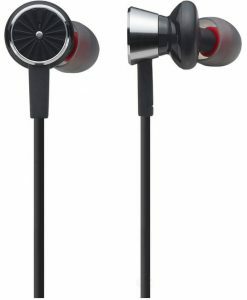 These earbuds are equipped with a tweeter and two woofers (like professional studio monitors and other fancy speakers) to further improve sound quality, delivering powerful bass and treble since it gives each frequency their own pathway as opposed to others that merely blend them all in to save money. The sound isolating sleeves are available in several sizes (small, medium, large) to deliver a custom fit while at the same time providing up to 37 dB of noise isolation. These earbuds are at the same time lightweight and designed with a low profile shape for comfortable and longer usage. In the package you will also find an adapter that enables use of these earbuds with a variety of portable devices, making sure you’re more than covered in just about any area you may ask of a pair of earbuds. Grab these if you aren’t messing around. These are becoming a bit more rare as time goes on, but we still feel they’re worth a mention in here, albeit a late one. Thanks to their three available noise cancellation modes as well as an option for talking on your phone, the Sennheiser CXC 700 compete with many in the higher price-point. These earbuds will enable you to cut surrounding noise to the minimum and truly enjoy the music you are listening to. The three noise cancellation modes are: Mode 1 (the best choice for short rides on a train, subway, bus or flight, with an average of -23dB noise cancellation), Mode 2: (best choice for air-conditioned rooms and long flights, with an average of -23dB noise cancellation) and Mode 3 (best choice for use on-the-go — in the office, on the street, etc., with an average of -15dB noise cancellation). 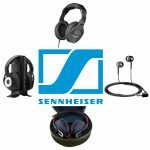 With these modes kept in mind, and also the fact that they’re made by our favorite brand Sennheiser, are well worth it if you’re into different modes and adapting to the many environments you’ll find yourself in throughout the week. Last but not least, the Harman Kardon Soho II are definitely a lot less known within the headphone realm as compared to the more marketed brands, but take a look at what they offer before you finish reading. They’re lightweight in-ear headphones with active noise cancelling technology paired up with a one-button remote/mic, across the range of many different smart devices. Noise cancellation technology will allow active decrease of surrounding noise for up to 35 continuous hours. In terms of build and comfort, they come with unique ‘Freebitergonomic tips’ (coined by them, of course) that will give the user a secure and pain-free fit. The Soho II can easily be charged thanks to their micro USB port; they also come with an in-flight adapter for safe use during flights. Definitely consider these headphones if you are looking for a solid pair that’s quite affordable and rival the other brands out there, more so due to the fact that the brand is less known and reviewed and don’t have to up their prices to justify their heavy marketing ventures.